Isn’t it crazy sometimes how the simplest things turn out to be the most powerful? But sometimes it takes some objective research to startle you back to the obvious. That’s what happened to me last week when I had Professor William Doherty of the University of Minnesota on my radio program. Since you likely face a busy work December, holiday season franticness, but also the impending opportunity for New Year’s resolutions, I thought it made sense to share Bill’s insight with you. What would you guess is THE most significant activity that you can do to support your children’s psychological and cognitive development? Is it diet, rest, hugs, reading? 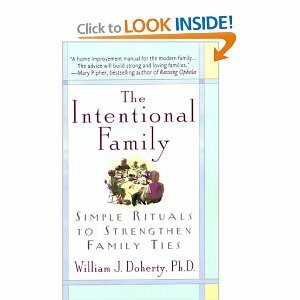 Doherty says unequivocally that the most significant activity is to have frequent meals together with your entire family. Doherty backs up his findings with a boatload of research. For instance, one study compared families which had more than five or more meals together per week with those who had two or less. They found that in the latter families, children were three times more likely to use marijuana, 2 1/2 times more likely to smoke cigarettes, and 1 1/2 times more likely to use alcohol. Similarly, in studies of academic achievement, the number of family meals was more important than anything “even things like the hours that children studied. It’s probably not surprising to you that running directly in opposition to this research, over the past 30 years there has been a significant decrease in the amount of family meal time in America (although there is some evidence to suggest that this has begun to change). Professor Doherty gave some marvelous ideas on my show about how to improve both the quality and quantity of meals you spend together as a family (I’ve put a few beneath the body of today’s RFL and would welcome a hearty blog participation on this). 1. Create rituals around the meal. For example, set the table together. Or have appetizers like you would at a nice dinner party (even if it’s carrots and celery!). 2. Don’t start asking all the questions that we parents ask, ’til people have a little food in them (especially if you’re eating late as many of us tend to these days). I know I’m crabby, and I wouldn’t want someone pressing me with questions about my day before I’ve had a bite to eat. 3. Don’t ask those going nowhere questions that frustrate them as much as much as their answers frustrate you, “How was your day?’ “Fine.” Ugggh. 4. Instead, pay closer attention to what they’re interested in talking about. Ask them about stuff they like to talk. 5. Make it a priority to eat together. Period. Give them a snack if you know you’re going to eat late; the social part trumps the 3-square meals thing. Change your own darned schedule if you need to. And when those teens have activities every night at dinner, sometimes you have to “be the parent,” says Bill, and lead! You explain that the family meal is too important and so they have to cut something loose. What a concept that is. I’d love for us to share more comments about this, especially what’s working for you? !